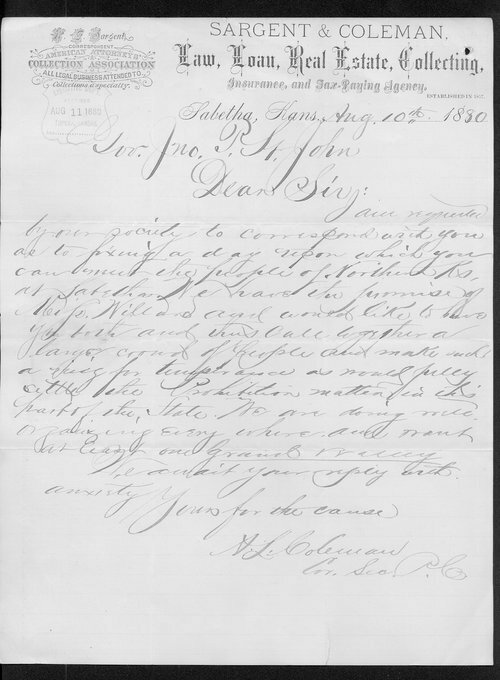 In this letter, Kansas Governor St. John is requested to attend a "Grand rally" in Sabetha, Kansas, in order to "fully settle the Prohibition matter" in Northern Kansas. It is on letterhead for Sargent & Coleman, Law, Loan, Real Estate, Collecting, Insurance, and Tax-Paying Agency. The company was established in 1857.